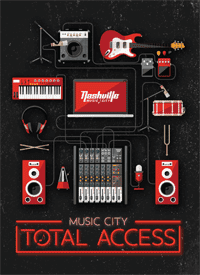 MUSIC CITY TOTAL ACCESS DISCOUNT ATTRACTION PASSES AVAILABLE! If you are planning to arrive in Nashville a few days before, or leave a few days after the 2018 CMA Music Festival, we highly recommend purchasing this combination pass! The pass is only $75 and includes admission to your choice of four of Nashville's hottest attractions as well as admission to the Parthenon and the Tennessee Sports Hall of Fame. The pass also grants you a 10% discount at the Music City Shop or Marketplace, and 25% off Gray Line sightseeing tours! Participating attractions include (you pick 4): Adventure Science Center, Andrew Jackson's Hermitage: Home of the People's President, Belle Meade Plantation, Belmont Mansion, Cheekwood Estate & Gardens, Country Music Hall of Fame and Museum, Cruzzin Nashville, The Delta Riverboat Company at Gaylord Opryland, Echoes of Nashville, The Escape Game, The Famous Footsteps (Walking Tour), Fontanel Mansion, Frist Center for the Visual Arts, The George Jones, Grand Ole Opry House Daytime Backstage Tour (valid February – October), Hatch Show Print, Hick Chick Tours, Historic RCA Studio B, Historic Travellers Rest Plantation & Museum, Jack Daniel Distillery Visitor Center/Dry County Tour, Johnny Cash Museum, Lucky Ladd Farms, Madame Tussauds, Music City Double Decker & Trolley Hop On/Off Tour, Music City Rollin' Jamboree, Musicians Hall of Fame and Museum, Nashville Shores Lakeside Resort, Nashville Zoo at Grassmere, Old Town Trolley Tour, Patsy Cline Museum, The Redneck Comedy Bus Tour, Ryman Auditorium, and The Sound Nashville Music Tour.